Oceanfront B2 Corner lot, 5br/3ba, Fantastic house! 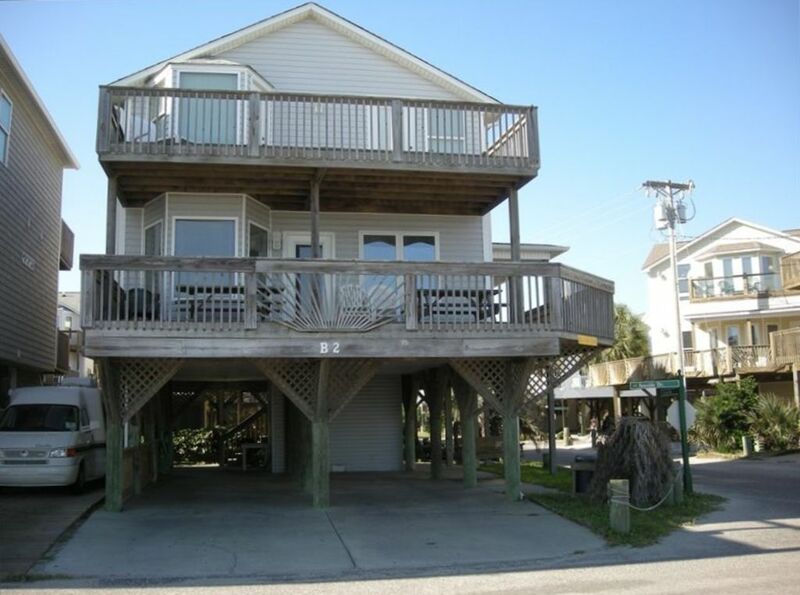 Imagine your family vacation in a spacious, comfortable home on the beach! Perfect for a group or family reunion. Relax and appreciate the ocean view from two levels of deck or enjoy the cool breezes from the porch swing under the house. Our community has activities for all age groups, including a kiddie playground just down the street. Our lifeguards, gated entrance, patrolling security, and ten-MPH speed limit all will contribute to your peace of mind during your vacation. Just move in, unpack, and unwind! Linens Provided: Linens are included for weekly stays during the peak season (June-end of July only). Underneath the house, 4 cars will fit comfortably along with a golf cart. Ocean Lakes charges $5/vehicle/night for parking. Hi Speed Internet is now available at no charge! (5) TV's in living room and bed rooms.